Razack Lokina: "EfD has a role to play in fast-changing Tanzania"
Razack Lokina grew up as the son of a small coffee farmer in the village of Msangeni, in the Mwanga District of the Kilimanjaro Region. 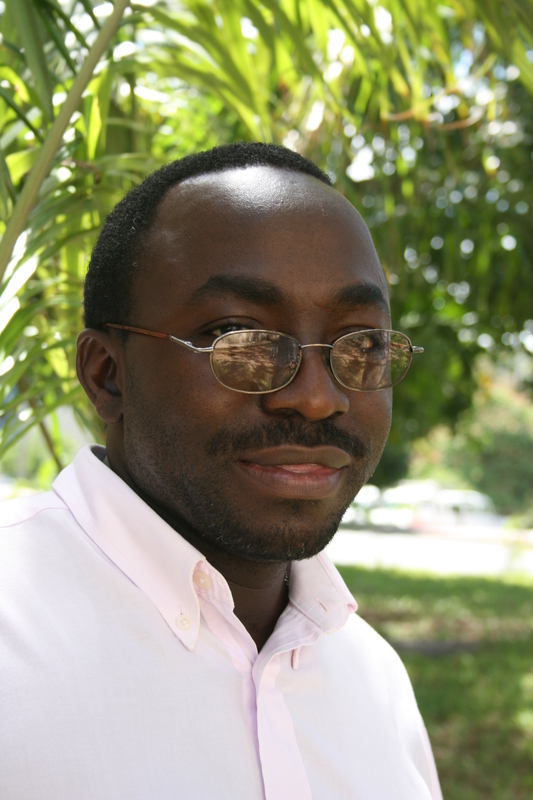 Now he is a fellow researcher and coordinator at the EfD center in Tanzania. Razack Lokina’s office is located in the FASS Tower at the University of Dar es Salaam (USDM). The campus is surrounded by green hills where you can often see groups of monkeys, sometimes baboons, play around, yet it is walking distance from the new, very modern, shopping mall Mlimani City. Like just about everybody else at the Department of Economics, where the EfD center is located, Lokina shares his small office with a colleague. The entire university is crowded; every year there are more students, more teachers, and more researchers who need more space. Tanzania is in the midst of a period of economic growth and development. Lokina believes that the country will undergo some big changes, in a positive way, within the next ten years – in areas such as politics, the economy, education, infrastructure etc. He also thinks that the EfD initiative can play an important role in this development. Lokina, his five brothers, and two sisters were born and raised in the village of Msangeni in northeastern Tanzania, where his parents were farmers. He attended the village school and helped take care of the animals. At age 13 he moved to Dar es Salaam to live with his older brother and further his education in the city. Lokina was a good student. After secondary school he went on to the university and graduated among the top four students in his class. One thing led to another. During his studies, the Swedish SAREC Marine Program wanted a master’s student in their project on marine resources around the island of Mafia – and Lokina’s scholarship was transferred into that program. “That is how I got into environmental and resource economics,” he says. Upon finishing his master’s degree he started working for the National Environment Management Council, NEMC. After less than a year there was a call for PhD scholarship applications from the EEU. Lokina applied and ended up as one of the five chosen. He completed his PhD in environmental economics at the University of Gothenburg, Sweden, in 2005, after writing his thesis about fisheries in Lake Victoria. He then returned to Dar es Salaam and his employment at the NEMC. “But I felt underutilized. I felt that I could do so much more. I wanted more of a challenge, a more active role,” says Lokina. After five months, there was an opening as a lecturer at the Department of Economics at the UDSM, and he got the job. “I enjoy teaching and I really like meeting students. Students are a bit unpredictable, you never know what they are going to ask questions about, so you have to keep yourself updated in many different fields – and that’s good,” says Razack Lokina. Apart from the teaching at the UDSM, he also teaches for the African Economic Research Consortium, AERC. This past September, 2008, he gave a six week masters course on research methodology in Arusha with students from all over English-speaking Africa. So far Lokina’s research has mainly focused on fisheries and forestry. He is optimistic and says that the EfD Initiative has improved the conditions for accomplishing good environmental economic research in Tanzania. In the future, he says, he would like to explore other areas of research, such as the mining industry and wildlife in Tanzania. He also hopes that “the infrastructure of the office” will improve within the coming years. Not only does the reality of everyday life at the UDSM (and in Dar es Salaam in general) include shared offices and lack of space, there are also frequent electrical outages, interrupted internet connections, and sometimes even a loss of water supply. “If all that worked properly, everything else would run so much more smoothly,” Razack Lokina says with a smile.